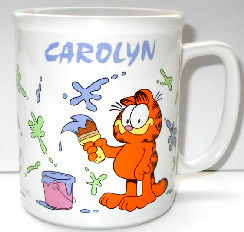 This collectible Garfield mug is for a special Carolyn. 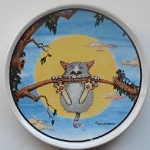 The ceramic mug is 3 5/8" high x 3 1/8" across the top (not including the handle). The design is Garfield copyright 1978. Previously owned but in good condition.